In the cold open of A View to a Kill, James Bond (Roger Moore) is in Siberia attempting to locate the body of missing agent 003. Upon finding the body, and the microchip that the dead agent had recovered, Bond is immediately hunted down on skis and snowmobiles by Soviet military. Moore’s stunt double skis, rides a snowmobile, and snowboards in this sequence. The stunt work is all well and good, but the ADR lines of grunts falling on the slopes is laughable. Equally laughable is how the scene ends, with Bond escaping into the sea in a submarine camouflaged as an iceberg. Of all the ski chase scenes in the James Bond franchise (and there are more than you might think), this one is the least successful. During the opening titles, we hear Duran Duran playing the eponymous theme. For everything that this film gets wrong, at least it can say it has a solid theme song. Bond returns to MI6 with the microchip, and it is traced back to Zorin Industries, led by villainous multi-millionaire Max Zorin (Christopher Walken). Bond attempts to get close to Zorin, but every ally that he has gets mysteriously assassinated. Eventually, it becomes apparent that Zorin’s master plan is to destroy Silicon Valley, thereby acquiring a monopoly over the microchip industry. Sound absurd? Don’t worry, it is. 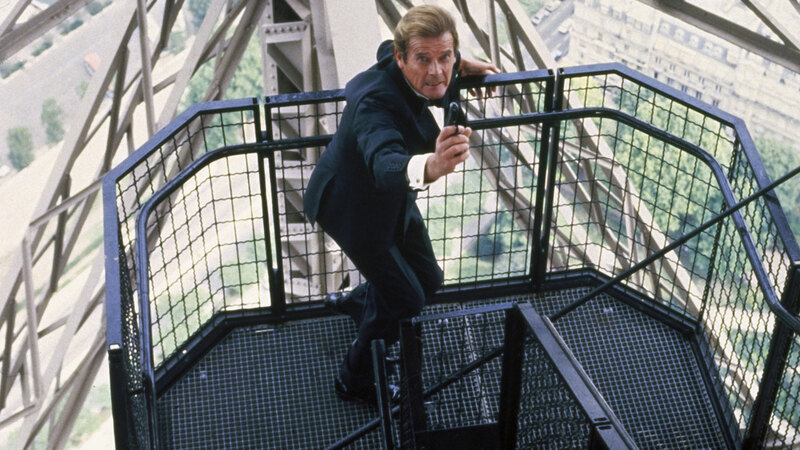 A View to a Kill takes the camp of James Bond to a new level. In a chase scene, Bond drives half a car. He ends this car chase by falling through the deck of a boat into a wedding part, landing right into the cake. 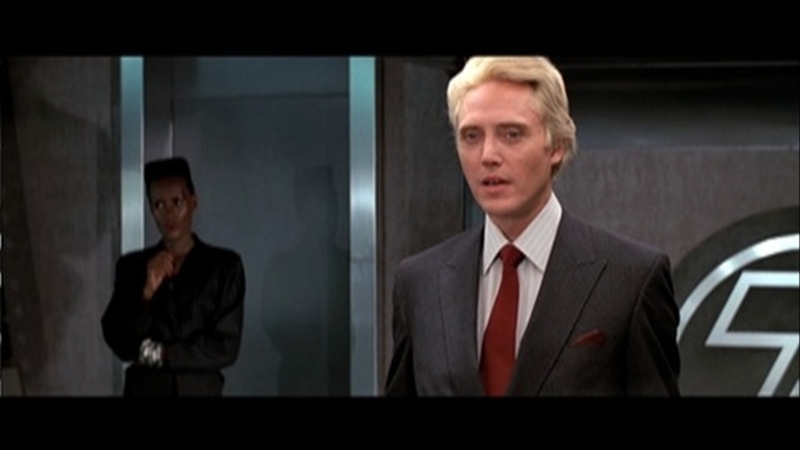 We learn that Zorin may have undergone Nazi experimentation using steroids. This is the same man that implants race horses that he owns with adrenaline that allows them to win races they have no reason winning. This is the same man who is planning on exploding fault lines in order to drown Silicon Valley. If you can get past the zaniness of the plot, then you can probably enjoy Walken and his henchman May Day (Grace Jones). Both are over-the-top, but there is fun to be had with their performances if some concessions are made by the viewer. Beyond this, there is nothing memorable about any of the other performances. An aging Moore is showing fatigue in his tenure as Bond, although he still has his moments. The climax of this film is the pinnacle of camp. The height of the setting aside, the action is slow and clunky. Blimps, bridges, ACME-style dynamite, and Christopher Walken. It’s a math equation that can only equal catastrophe. I’ll leave you with a quick recommendation. If you’ve seen this movie, the most fun you’ll have out of it is listening to the podcasting crossover by How Did This Get Made and James Bonding. Both podcasts are wonderful, and this episode is very funny. A View to a Kill is currently available to rent/buy on Amazon Video here .